Grain fields at Daley Ranch, 1948, from the archives of the Rancho Bernardo Historical Society. Rancho San Bernardo was indeed a wide open space then, 6,000 acres of grain and pasture bordered by Lake Hodges on the north, Rancho Penasquitos on the south, the Bermardo Winery on the east, and 4S Ranch on the west. “We raised oat hay on the red lands and barley on the adobe hills where you could thresh it,” said Donald Daley, Sr. in a 2006 interview with me. Donald Daley, who died in 2007, and his brother Lawrence, who died in 2002, were the last ranchers on the land that became today’s urban neighborhood of Rancho Bernardo. At first they raised horses and mules for their farming and construction businesses. Cattle came later, in the 1930s. Up to the early 1950s, cowboys from the Daley ranch and neighboring spreads were leading cattle drives along Highway 395, the two-lane road that in those days was the only link between the city of San Diego and North County. Into the mid-1950s ranch hands could still be seen wearing holstered Colt revolvers on the streets of downtown Escondido. 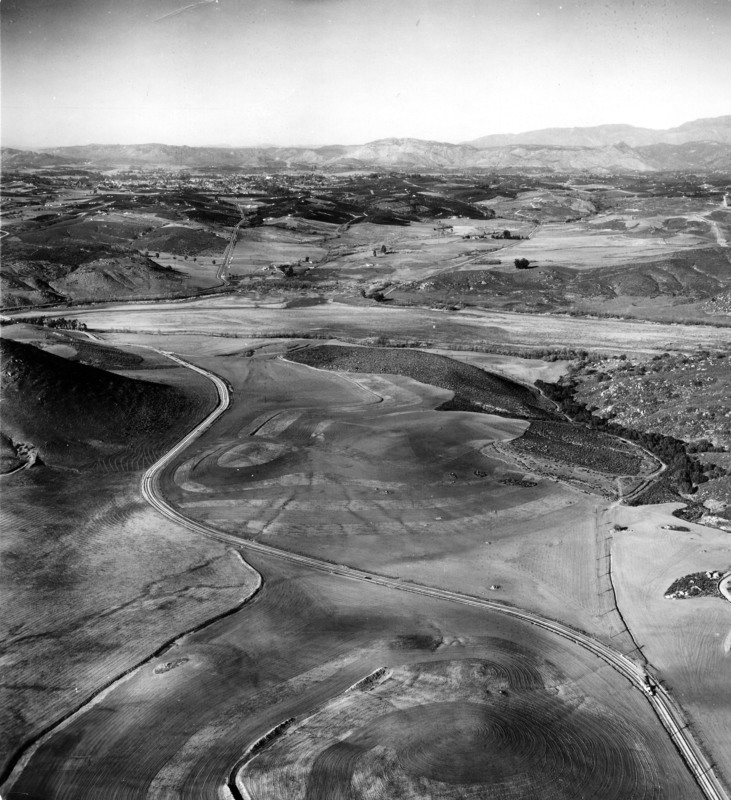 In 1961 the Daley brothers agreed to a joint venture with Harry Summers and W. R. Hawn to develop Rancho San Bernardo into a planned urban community, to be called Rancho Bernardo. Sources for this post included historic San Diego newspapers, interviews with members of the Daley family and with Bob Williams, another rancher and Daley family friend, and the archives of the Rancho Bernardo Historical Society.